The Moscow International Film Festival was the first film festival ever held in Moscow. The first event took place way back in 1935, while it is now the biggest film event in Russia. While it was initially not an annual event, since 1959, it was held every two years in July, interchanging with the Karlovy Vary film festival, since 1995 the festival was held annually. The Moscow International Film Festival’s top award is the statue of Saint George Slaying The Dragon, as seen on the Coat of Arms of Moscow. 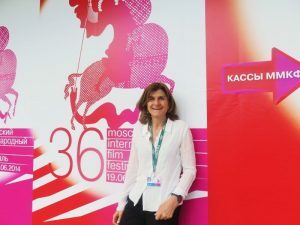 The popularity and the influence of the Moscow International Film Festival has grown significantly over the past decades. Today, it is regarded as one of the most prestigious international film festivals in the world. Who will judge the Moscow Film Festival? Best Film of Short Films Competition. An award for the outstanding achievement in the career of acting, and devotion to the principles of K.Stanislavsky’s school. The Moscow International Film Festival program accepts films that have not been publicly screened within the territory of the Russian Federation, with the exception of screenings related to retrospectives and the program of Russian films. The Moscow International Film Festival committee will only accept full-length feature films that were produced after May 1, 2018, with the exception of the Short Films Competition. Films with World and International premieres are preferred for the competition programs. There should be at least 12 films that should participate in the Main Competition of the Moscow International Film Festival. Only films with DCP format will be accepted for the Main Competition. There should be at least 7 films that should participate in the Documentary Competition of the Moscow International Film Festival. In Documentary Competition, the format should be DCP or HDCam, however the committee preferrs DCP format. In Short Film Competition, the committee will accept short films produced after May 1, 2018, but only with a duration of not more than 35 minutes. In the Short Films Competition, short films should be in a DCP format. General Management of the Moscow International Film Festival decides on all the terms of guest’s invitation and accreditation. One representative is required to personally present each entry film participating in the Main Competition, Documentary Competition, and Short Films Competition. The management of the Moscow International Film Festival will pay for the expenses such as round-trip tickets and hotel accommodation up to 4-days for one (1) representative of the Main Competition (director) and the Documentary Competition films (director) as well as hotel accommodation up to 3-days for one (1) representative of the films in Short Films Competition (director). The deadline for the submission of applications for accreditation is before April 5, 2019. The management of the Moscow International Film Festival will pay for all transportation costs for the screening copies of entry films for the Competition programs from the airport of the sender to Moscow and to the airport of the recipient. The general committee of the MIFF also covers transportation costs for the screening copies of the entry films to the other festival sections from Moscow to the airport of the recipient. They will also pay for all film storage and insurance expenses during the Film Festival. The Moscow Film Festival will take place from Thursday, April 18 until Thursday, April 25.